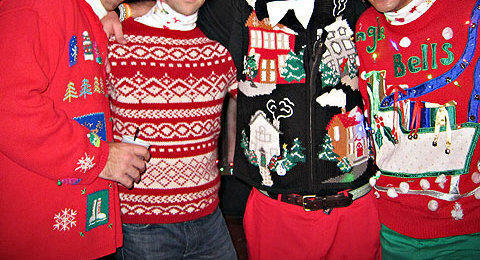 Don your most hideous holiday sweater and hit Nana (the restaurant! The restaurant!) for brunch, so servers can snap photos of you to later mock/ stare creepily at/ decide you're awesome and hook you up with a $50 gift card, in case you want more poached pear brioche French toast with cinnamon whipped cream and pear syrup.